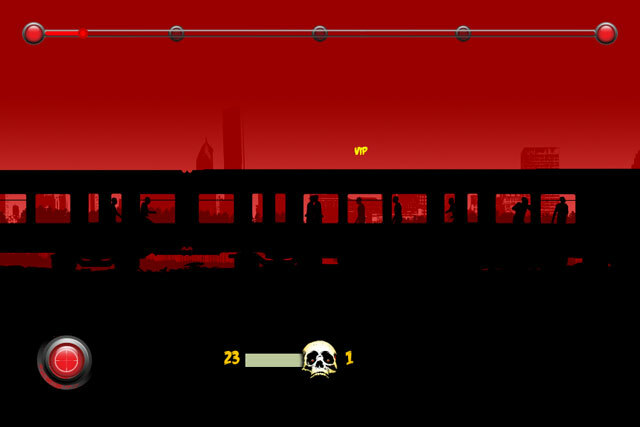 Apocalyptic Survival! 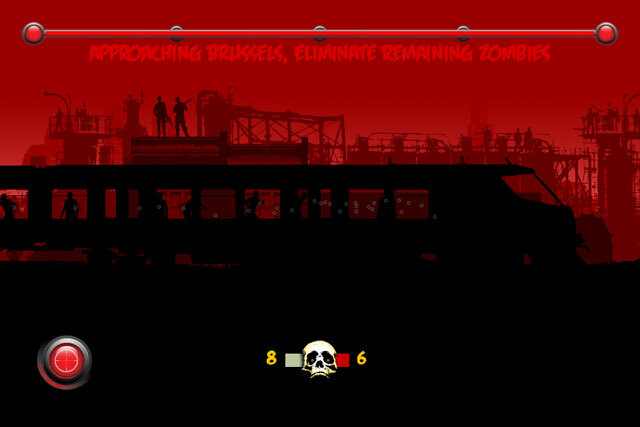 Kill the Zombies! 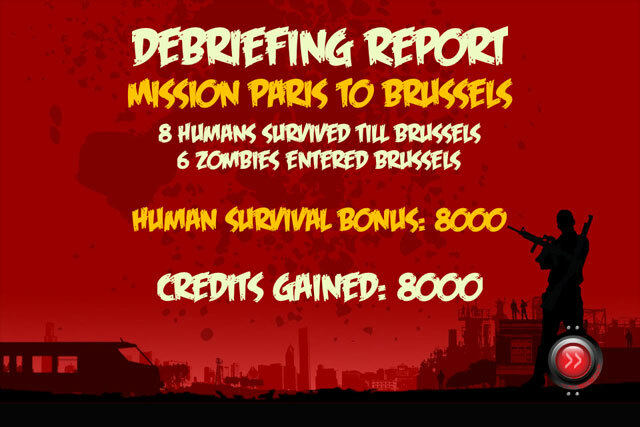 Save the Humans! 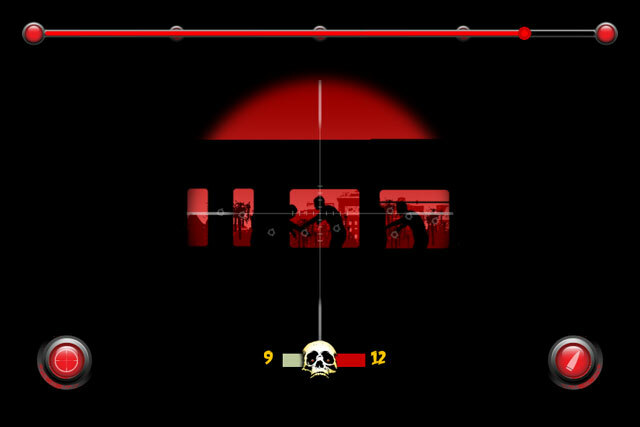 Snipe to survive! 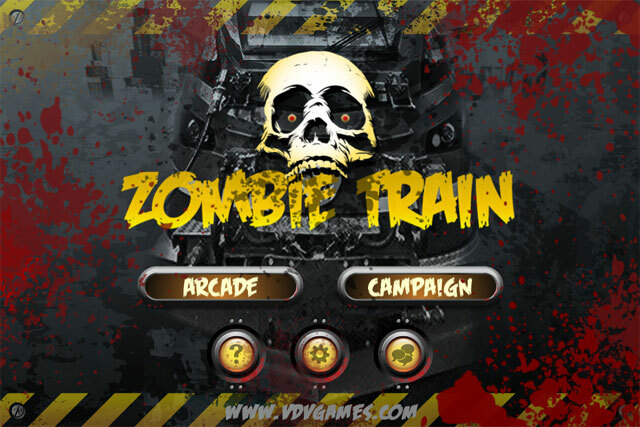 FEATURES: 2 intense game modes, dynamically evolving populations & infections, realistic simulations, parallax scrolling, full tilt and joystick controls! 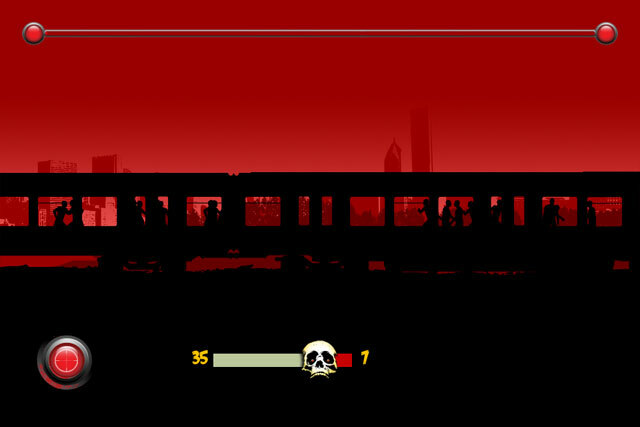 In the not too distant future a disease-stricken world attempts to maintain the last reminants of civilization. 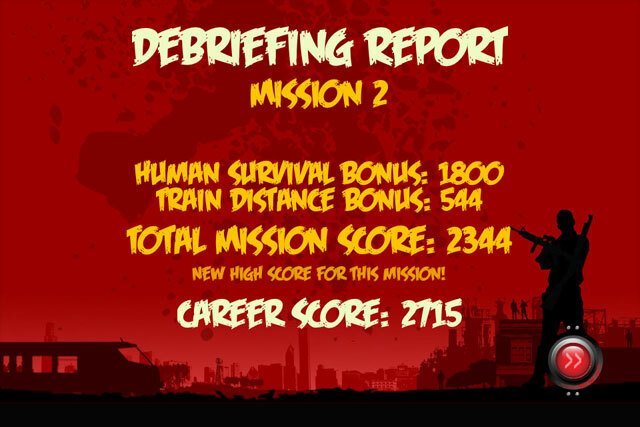 How long can you keep humanity alive? 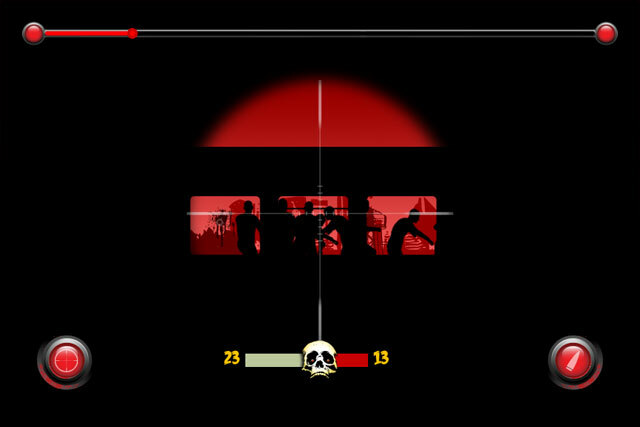 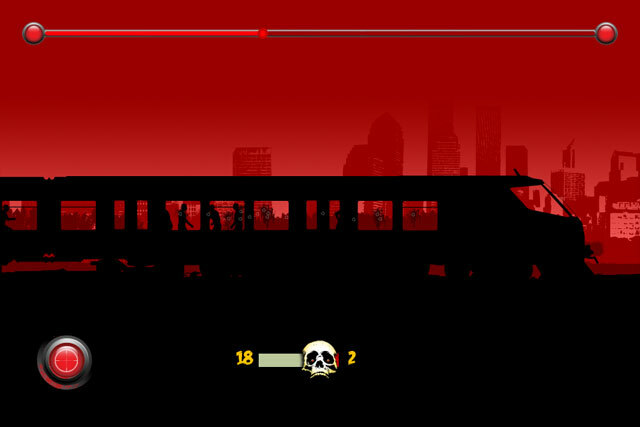 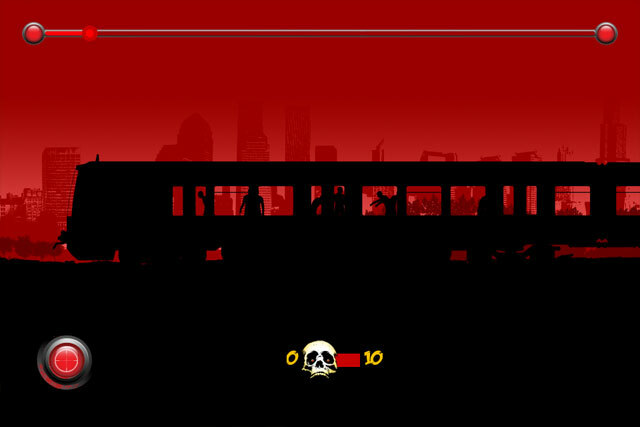 Welcome to ZOMBIE TRAIN, an apocalyptic arcade simulation where you use your sniping and planning skills to keep the zombie plague from over-running your trains and the human race. 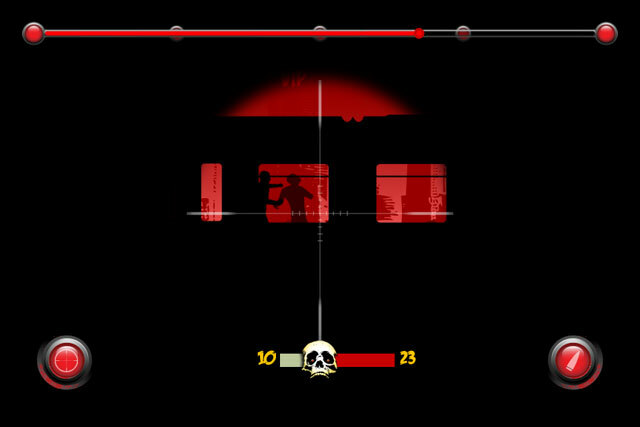 GAME CONTROLS Use your device's built-in gyroscope & accelerometers to tilt your way to victory OR for switch to the in-game joystick. 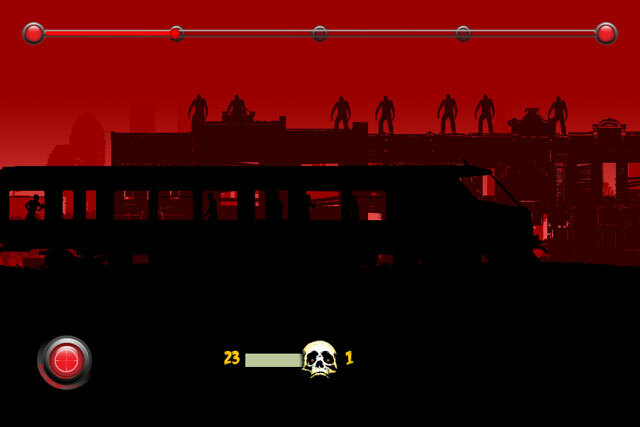 ARCADE GAME MODE You're tasked with completing 30 increasingly difficult missions, split into 3 mission types; Zombies Only, Zombies & Humans, and Zombies, Humans and Deserted Towns. 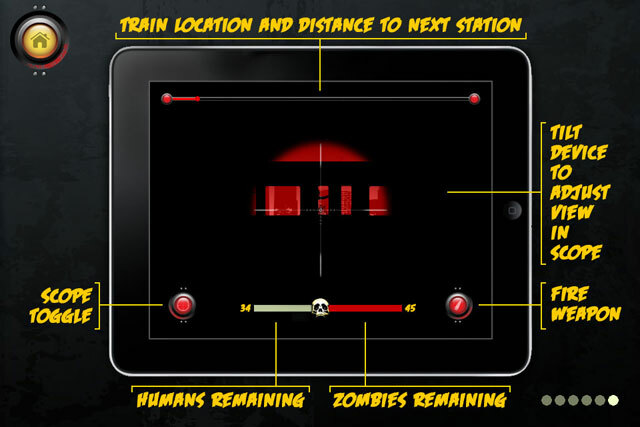 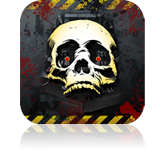 Let a single zombie enter your safezone station or loose all your humans and its game over! 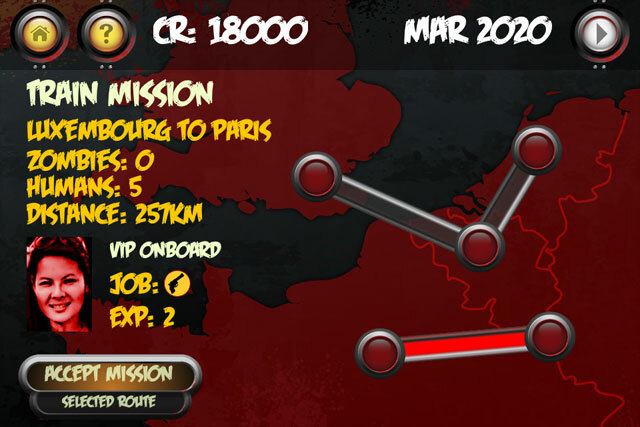 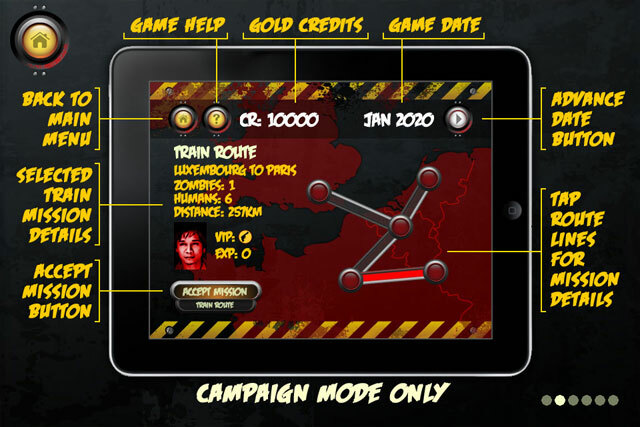 CAMPAIGN GAME MODE Take control of the Global Train Network Security Agency. 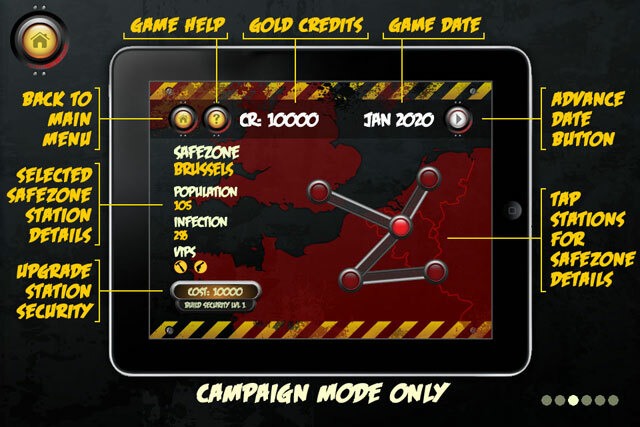 There are 5 european safezones for you to protect as long as you can. 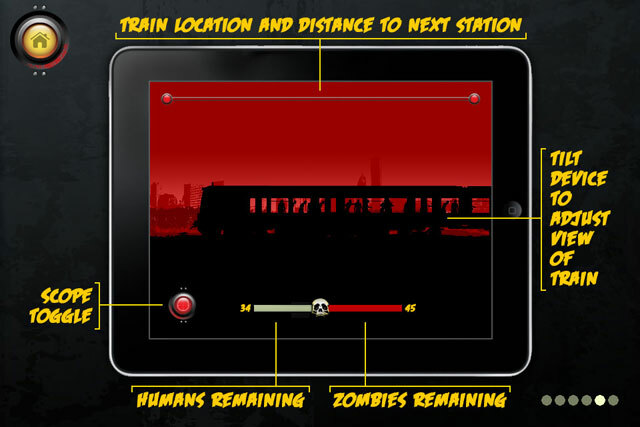 Each month safezones may send out trains with humans and possibly invaluable VIPs. 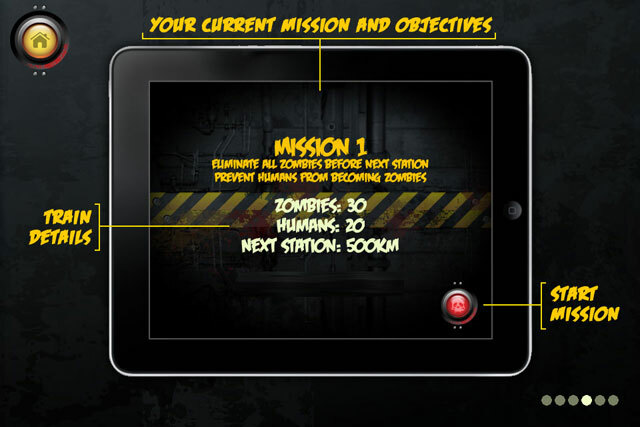 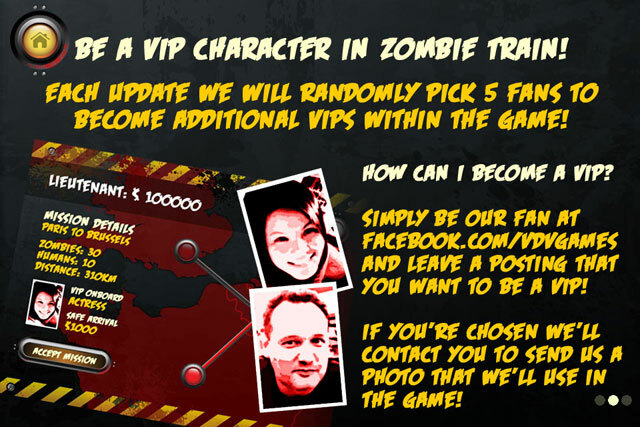 It's up to you to prevent the zombies from killing the humans and stopping them from reaching our stations! 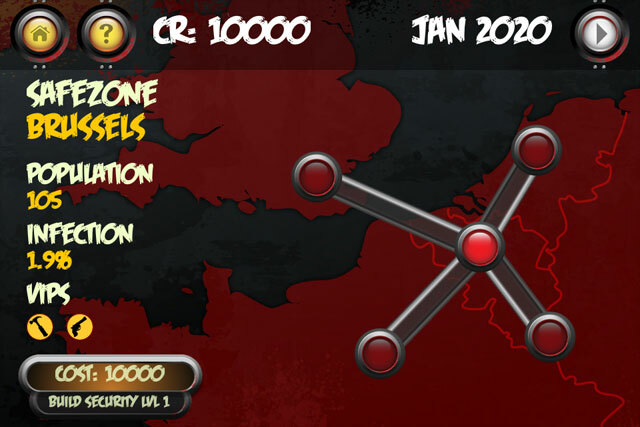 Safezone populations and infections dynamically evolve based on which and how well you do your missions! 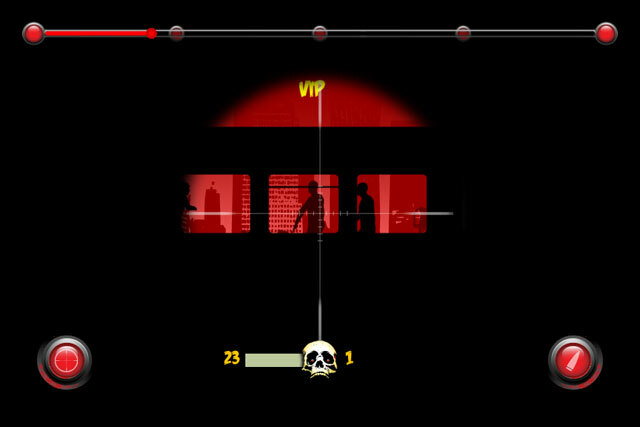 Just remember the medic, engineer and cop VIPs are crucial to humanity's surivival, keep them alive at all costs!